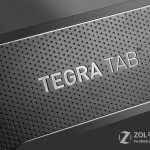 While NVIDIA has been confirmed to be working with Microsoft on the upcoming Surface RT 2, it seems the American company has also been developing a tablet of its own. 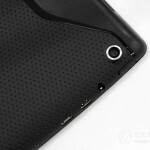 Leaked photos first posted on the Chinese website mydrivers.com show the back of the Tegra Tab 7-inch tablet. Details are still scarce, but it would seem the new gadget features a Tegra 4 processor, a 5 MP back-facing camera, a micro HDMI port, a micro USB port, a 3.5 mm audio jack, and what appears to be a microSD card slot. 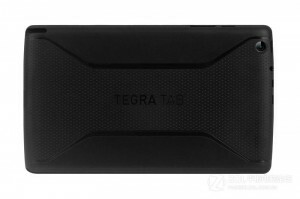 The back of the tablet also shows a slot for a stylus, making it likely that the Tegra Tab will include an active digitizer. We don't know what operating system the tablet will run yet, and the lack of photos of the front might have been intentional to hold back that information. Windows RT is possible given NVIDIA's relationship with Microsoft and the absence of sub-10-inch RT devices on the market. Android seems a far more likely choice though given the investment NVIDIA has already made in the Tegra Zone Android game store. Strong sales early on for the Shield are a good indication that NVIDIA is indeed capable of making its own consumer products, but we'll have to wait and see if that translates into this tablet actually being finalized and launched.